The American Society on Aging (ASA) Leadership Institute is a five-day leadership development intensive that offers self-assessments of communication and leadership styles, presentations by recognized leaders in the field of aging, facilitated dialogue, networking opportunities, leadership literature and online learning. Program components are carefully designed to prepare the next generation of leaders in the field of aging. 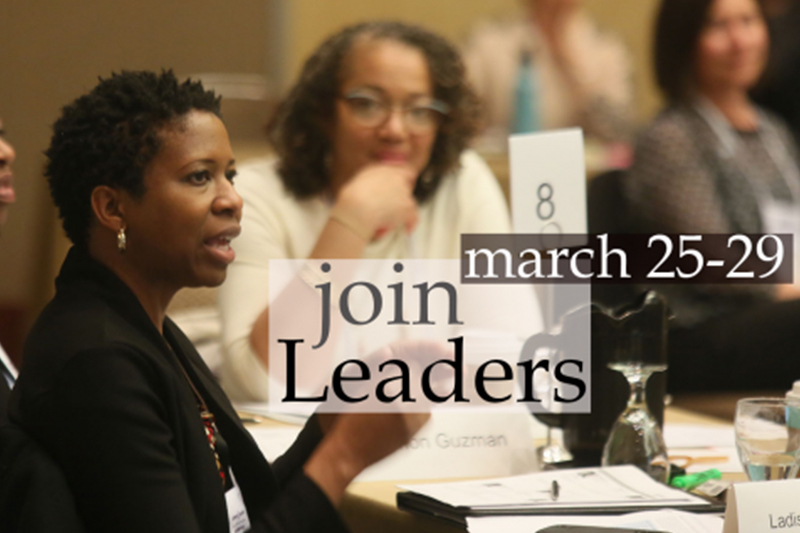 The 2018 ASA Leadership Institute will primarily take place during the Aging in America Conference in San Francisco, March 25-29, 2018. Taking care of yourself is one of the most important — and often the most forgotten — things you can do as a caregiver. After going through the journey and heartache of being the family caregiver for my father for twelve years, and then enduring the pain of legal conflicts with my siblings, I ultimately asked myself a key question: What would I do differently if I could do it all over again? My answer was simple: I would take better care of myself. Looking back, I do not regret my decision to be my father’s caregiver. I did it for love. It was rewarding to have the opportunity to give of myself to my father in his time of need, as he had given so much to me. Even so, it was exhausting. It took a very real physical toll on my body. The moral of my story: to be an effective caregiver, you must also take care of yourself. I’ve found that exercise and meditation help me to relax, and now I wish I had known to take some time to nurture myself better while I was on the journey with my father. While interviewing more than fifteen hundred caregivers nationwide, I was amazed that they all gave responses that were similar to mine when I asked them the question, “What would you do differently?” We’re so busy caring for our loved ones that we forget how important our own self-care is. As a result, caregivers end up with all sorts of physical ailments, such as back and neck problems. We even end up in the hospital. When I asked one woman if there was something she’d do differently if she could do the caregiving all over again, she, too, remarked, “I didn’t give consideration to my own health, and I should have.” She then confessed that she’d had so much love for her mother that even though she herself had diabetes and hypertension, when she was at her mother’s bedside in the hospital, her eating habits fell apart. Matters came to a head one day, when she thought she was having a heart attack. She couldn’t make it from her chair in the living room to her dining room table without feeling like she was going to fall down. She went to see the doctor and was told she had severe anemia. And like many other caregivers, who somehow manage to keep themselves going with adrenaline when in a crisis mode, in the transition period when she was grieving her mom’s death, the woman fell apart. Caregivers are notoriously rundown. A common thread in all my conversations with the caregivers I have met across the country is how beaten up they feel. They’re trying to help someone they love and they’re falling to pieces in the process. At my company, Grandpa’s Dream, we’ve established a national Caregiver’s Appreciation Day to give people a chance to show family caregivers their support. Visit CaregiverStory.com for more details. Caregivers are considerably less likely than non-caregivers to practice preventive health care and other self-nurturing behaviors. As a result, caregivers are at risk for depression, chronic illness and a decline in the quality of their life. Caring for a loved one can be an emotional roller coaster. On the one hand, caring for your family member demonstrates your love and commitment, and it can be a very rewarding personal experience. 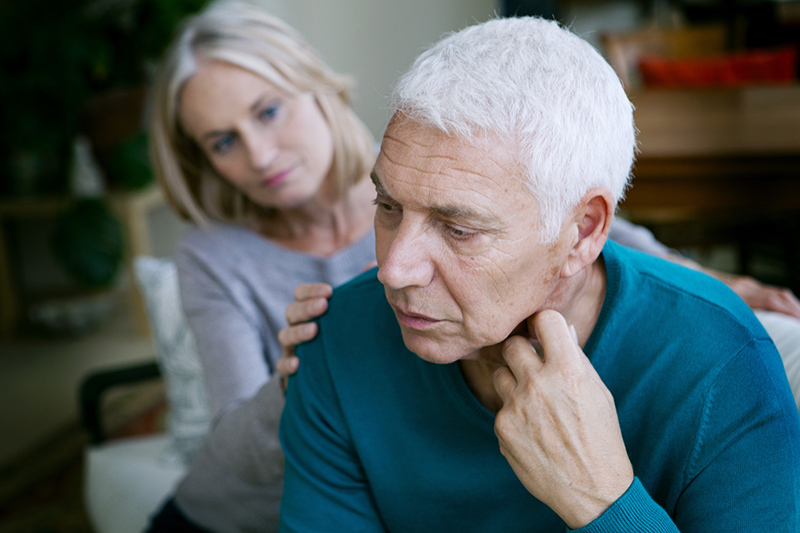 While stress and these negative emotions are a normal part of caregiving, it is important to realize that the stress of caregiving, particularly sustained stress, can result in major depression. 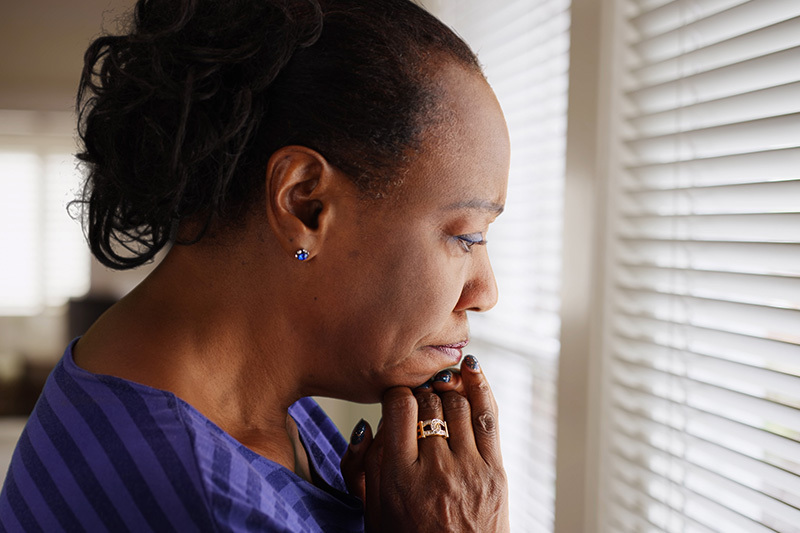 Depression is particularly prevalent among family caregivers: studies show that an estimated 46 to 59 percent of caregivers are clinically depressed. Have You Eliminated Exercise from Your Routine? 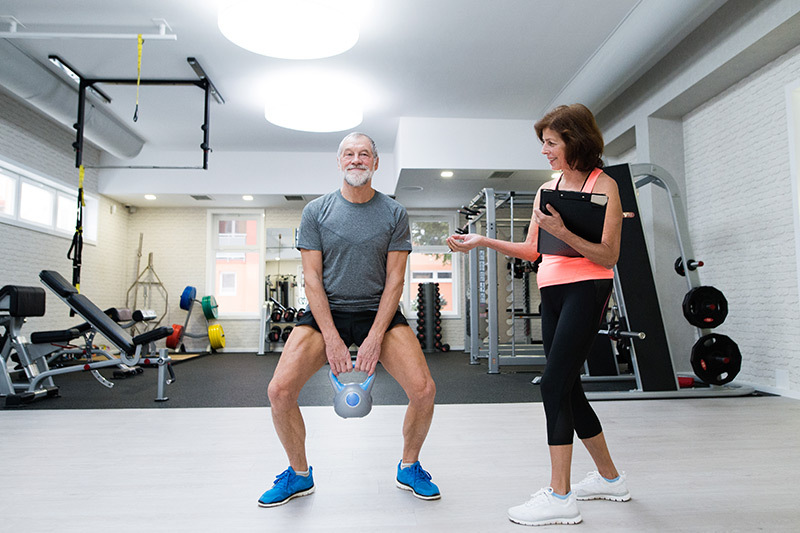 When you are caught up in the daily duties of caregiving and the intermittent emergencies, it is easy to let your exercise routine fall by the wayside. But one of the best ways to combat the stress of caregiving is to work out. So reincorporate that exercise routine into your schedule and stick to it. Have you postponed your own medical appointments or medical needs in order to care for your loved one? Think about the last time you were an airline passenger. Do you recall that emergency evacuation announcement, in which you are instructed to give yourself oxygen first and then help your fellow passenger? As a caregiver, always remember to take care of yourself first. Now that you know the emotional and physical toll that caregiving can have on the caregiver, take control. As a caregiver, you must make your own health and emotional well-being top priorities. Here are some key strategies to restore and maintain your health and your sense of well-being when you are a family caregiver and thus become a resilient caregiver who practices healthful caregiving. Many caregivers find themselves in the position of being the only person in a family caring for a sick elderly loved one. If you are a sole caregiver, there are many reasons why this may be so, ranging from the fact that you live nearer to your loved one than others do, to the fact that you have had a closer relationship with your loved one over the years, you have the financial means to supply the care that’s required, and you have time available in your schedule to give care. But by going solo, many caregivers simply get beaten up emotionally and physically while providing care. If that is the case, the caregiver must reach out for the help he or she needs in order to survive this very heartbreaking experience. If you are one of those solo caregivers and you get along well with your siblings, consider sharing the caregiving duties with them. You can support one another in the mutual caregiving of your loved one by contributing time, energy and your personal abilities to the process. As the adage goes, many hands make light work. I reached out not only to extended family members but also to assisted-living communities, my church and a senior adult day treatment center for support. The senior day treatment center in particular was an environment where Dad was socially, mentally and emotionally stimulated, as he was around his peers. I suggest that you, too, cast a wide net when you need support in caregiving. Remember, you are not alone on this journey. Know and trust the fact there are other caregivers, organizations and trained professionals that will assist you. Don’t be afraid to make phone calls, ask for assistance and accept the help you need. Whatever you do, please don’t wait to reach out until you are already overwhelmed and exhausted, or until your health is failing. Reaching out for help sooner will greatly benefit you by preserving your health and well-being. Don’t Be Afraid to Reach out for Help! Identify your stressors and then endeavor to eliminate them Make time to take a look at your stressors. The following questions will help guide you toward identifying your stressors and getting the help you need. The key is to take the time to take care of you! Have you identified your sources of stress? Are your stressors due to your caregiving situation? Are you looking at your situation like a glass that is half full or half empty? What actions are you willing to take to help change your situation and eliminate your stressors? Have you taken the time to write down what your stressors are so you can make corrective changes? When I recognized that I needed emotional help after my caregiving journey, I searched for a professional therapist who specialized in senior care, caregiver support and family conflicts. I knew I needed to speak with someone who specialized in these particular areas to help me understand exactly what I had gone through and how best to move forward in my life. I was truly a train wreck and needed to get back on track again, but I didn’t know how. I eventually found a fantastic therapist. Her practice was a whopping ninety-mile drive from where I live. After my first visit with her, I felt as if a burden had been lifted. The key question I had for her was, “What could I have done differently in the care of my dad?” For the longest time, I’d felt that if I had only known the right questions to ask the doctors or had suggested another form of treatment, things could have ended differently for him. On some level, I’d blamed myself for his illness. For months I’d been upset with myself because I’d been unable to save my dad by somehow fixing him and making him the person he once was. For me, understanding there was nothing else I could have done was one of the biggest hurdles to cross. (Apparently, it is common for caregivers to play the blame game, to blame themselves for their loved one’s condition, reckoning that “If I had only. . .” Always remember that you did everything within your power as a caregiver to provide the best possible care for your loved one. Pat yourself on the back and thank God you were there for your loved one.) Like many caregivers at the end of the caregiving journey, I was experiencing grief—which often involves a constellation of anger, denial and depression, before acceptance and peace can be attained. Over a period of months and years, I was able to face my feelings of resentment, guilt, loss and anger. Now I am able to enjoy some of the activities I previously enjoyed before my dad got sick. The emotional pain I used to feel when I thought about my situation has been transformed into energy, which I use to help others avoid the pitfalls of caregiving when a loved one becomes ill.
As I have mentioned elsewhere, the rewards of caring for an aging loved one who is sick or is coming to the end of life are mostly intangible, and often there is no hope for a happy outcome. It can be a long, hard road to travel. Thanks to the perspective I have gained about my caregiving experience, I can now look back and see how stress piled up on me while I was going through my caregiver journey without a road map. You can avoid the frustration, despair and burnout associated with caregiving if you successfully adopt positive coping mechanisms. Embrace your feelings instead of running from them. Caregiving can trigger a host of difficult emotions, including anger, fear, resentment, guilt, helplessness and grief. As long as you don’t compromise the emotional well-being of the one receiving your care in the process, allow yourself to feel whatever you feel. Educate yourself as much as possible about your aging loved one’s condition so that you won’t experience the added strain of not knowing what needs to be done. Know your limits, that is, how much you can realistically handle as a caregiver. Don’t overexert yourself. If possible, ask your immediate family and extended family for help if you feel you are going beyond your limits. Otherwise, seek help in your community, from doctors and from caregiver support groups. It’s a fact that caregiving is an extremely demanding and difficult job that no one is equipped to do alone. 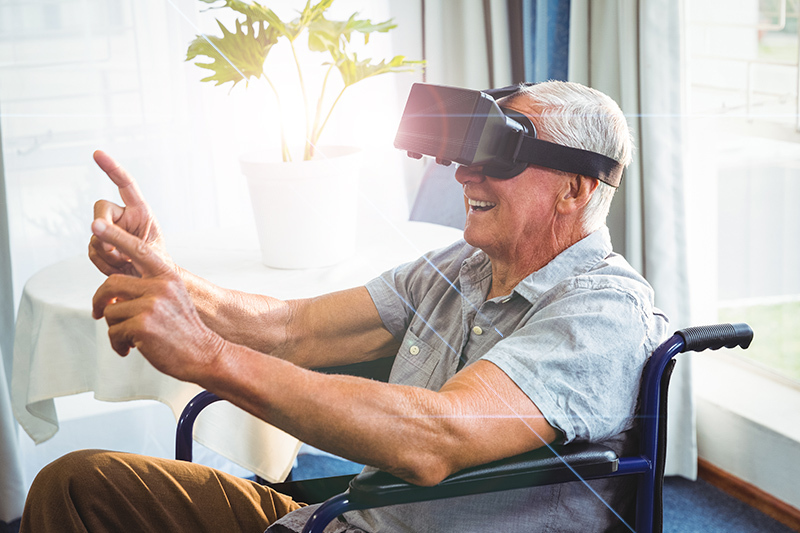 Getting the breaks you need to preserve your mental health and physical well-being is therefore crucial for you and the loved one you are caring for, especially if you live together. During the time I cared for my dad in my home, I got into the state of mind and a routine of doing it all without taking a break. I did not have support from my immediate family. Although I did try to take a break for a day every now and then, I was never successful in doing so. While I was caring for my dad, there always seemed to be an emergency. I felt I couldn’t leave his side, because something might happen to him or he would cause an accident. For instance, I feared that he would fall, wander off or start a fire. I was aware then that I could contact a care facility that would take him off my hands for a month so I could have a thirty-day respite from caregiving, but I never felt comfortable leaving Dad with strangers, so I never made the call. In retrospect, I realize I should have taken time off at least once a month and gone to a day spa or a weekend retreat center, or at the very least, just stayed home and lain in bed without feeling guilty. Every caregiver needs to take a break at intervals from the demands of caregiving. So let me give you the advice I didn’t take myself and wish I had: Consider respite care. Respite care offers an excellent opportunity for you to enjoy a short-term break in caregiving to relieve your stress, restore your energy and improve the balance in your life. It is an especially good option if your situation is like mine was and you’re finding it difficult to get support from siblings or friends. There are many respite care options available. A good way to start researching your respite care options would be to contact caregiver support groups in your area. Also, churches, health care professionals, extended family and friends might be able to point you in the right direction when it comes to respite care. Join as many groups as you can, such as the YMCA, a gym and a positive caregiving support group. Contact senior centers, church groups and other organizations in your area that you can count on for personal support. Establishing this support network makes a world of difference in your attitude and will help increase your health, wellness, fitness and well-being. Try your best each day to give yourself at least one hour to do something only for yourself. Eat foods that will make your body feel better. Meditate or practice another relaxation technique. RV Insurance: Is Auto Insurance Company Coverage Enough? Evaluate the pros and cons of insurance through an RV insurance company versus your auto insurer. Is it really so important where your recreational vehicle (RV) insurance comes from? Absolutely! There are huge differences between coverage from your auto insurer or a company that only covers RVs, and it could end up costing you tens of thousands if you make the wrong choice. Whether you’ve just purchased your own personal ticket to the open road, or you’ve owned an RV or travel trailer for a while, it’s important to know exactly what your insurance will cover. Most any company that covers your car will sell you a policy for your motorhome, travel trailer or fifth wheel. It’s easy to call an agent or go online and add another vehicle, and you’ll be pleasantly surprised at the cost. This insurance is enough to satisfy the financial institution carrying your loan. But what are you getting for your money? Not a whole lot, as it turns out. Full coverage includes collision and comprehensive insurance, the same as with your car. However, with RV trailers, your auto policy already covers collision insurance. So, all that you’re getting on the trailer itself is comprehensive coverage. Comprehensive coverage kicks in when your RV gets stolen, a tree falls on it, a bear gets inside and wreaks havoc, or lightening starts a fire. Phew. What else could go wrong? Well, that payout could be a lot smaller than you were expecting: The auto insurance company will depreciate the value of your RV, and it won’t pay a thing for its contents. Furthermore, auto insurance companies expect you to store your RV during the off-season, and they consider that reduced likelihood of damage in your premium. If they discover that you are living in your RV, they can drop you faster than a lead balloon. Your sweet golden retriever finds the only dog in the world he hates in the next campsite, and attacks it. Not covered. Your grandchild with the great pitching arm tests his aim and triumphs, sending a rock through the window of the most expensive RV in the park. Not covered. The breaded pork chops you were frying go rogue, and the resulting grease fire turns your RV into ashes. The titanium fishing rod you just bought, the fancy waders and antique tackle are destroyed. Contents aren’t covered. Your RV will be covered only at replacement value, which can be halved in as little as three years. This modern take on a classic bullnose shape has a pullout queen bed, twin extra-long bunks, mini fridge, induction cooktop, cork floors, composting toilet, cedar siding, wool insulation and a pop top. Solar panels charge lithium-ion batteries to power dimmable lights and USB ports. At 2,500 pounds, a Nissan Murano V6 or similar has adequate towing strength. Who can resist this teardrop trailer loaded with extras like birch-wood cabinetry, generous galley counter space, plumbing, skylight, cooler and stove pullouts? The queen mattress sleeps two, and your Subaru Outback has plenty of power to pull 1,400 pounds. Add a battery that charges while you drive or via the sun, LED lights and USB ports, and you’ll never want to call anything else home. This ultralight weighs only 1,100 pounds but manages to sleep five, thanks to modular components that turn into a queen bed, dinette, storage space, pullout fridge and freezer, two-burner cooktop, outdoor seating, and solar-heated exterior shower with shatterproof glass in a light, fiberglass shell. Your Mini Cooper Countryman can tow the HC1 in style, including solar powered dimmable LED lights, iPad dock and exterior AC inlet. If luxury is your thing and campgrounds are your game, try the Basecamp with heater, seamless vinyl flooring, china toilet, exterior shower, retractable clothesline, flexible seating and a patio awning. Only two of you will fit on the queen bed that converts to a banquette, but who cares when you have a wireless speaker, solar panel wiring, LED lights and USB ports. Oh, and you’ll need a Toyota 4Runner or similar because all that bling weighs 2,585 pounds. Liability, such as damage to a neighboring vehicle or backing into or over something. Personal injury, like a dog bite or someone taking a tumble as they enter or exit your RV. Personal possessions, such as firearms, jewelry, dishes and clothes in the RV. Full replacement cost. Instead, the auto insurance policy will only cover the depreciated value of your RV. The reason an auto policy is so inexpensive is it only covers the vehicle itself, and only at its depreciated value. Who Needs To Use an RV Insurance Company? If you only take your older RV out for the rare weekend, it’s possible that a policy from your auto insurance company will suffice. You can buy additional coverage for big-ticket items, such as an extended warranty on the refrigerator and an insurance rider for the tires. But if you have a newer RV, particularly if you live in it, you shouldn’t think of hitting the gas until you’re covered by an RV insurance company. If you use your RV as your permanent residence, you need a policy that covers you like a homeowner. You should have riders for contents, personal liability, replacement cost coverage and possessions you have in storage. Will it cost more than the skimpier package offered at an auto insurer? Of course. It’s your home on wheels, and riskier to insure than a house since, unlike a stick and brick residence, it is often moving. You will appreciate going with a national company that has multiple locations when a moose has tangled with your trailer in the backwoods of Wyoming, or anywhere parts and service may be hard to find. You can compare quotes on sites such as Consumer’s Advocate. But beware, not all of the companies they are comparing are RV-only insurers. Make sure you are comparing apples to apples in terms of the coverage you are getting. Price is the first thing that narrows down your choices, but service is a consideration. Will they pay for you to take your RV to the nearest shop when it breaks down in the boondocks? Is there a 24/7 helpline for emergencies? Lastly, don’t ignore the value of online reviews. Make your top two or three picks, and check the company reviews before deciding who will get your business. 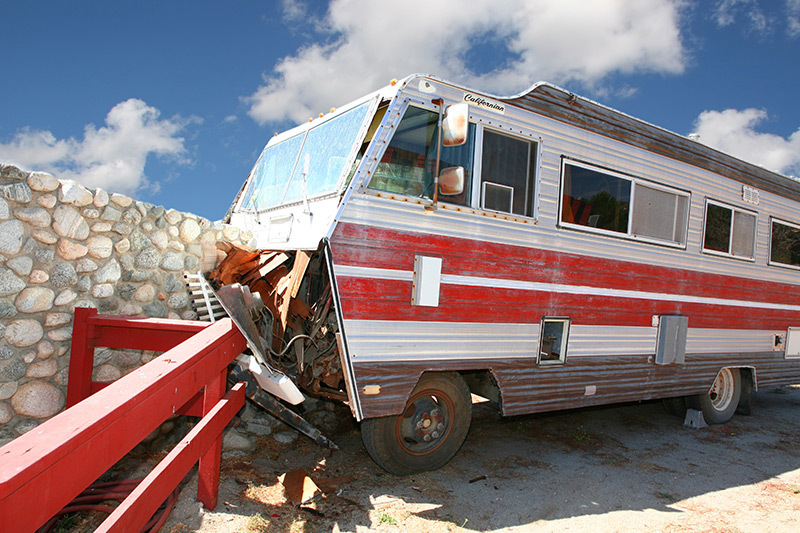 “Reasons To Get RVs Insured Through RV Insurance Companies NOT Auto Insurance Companies,” RVing Guide. “Compare RV Insurance Reviews,” Consumer Affairs. 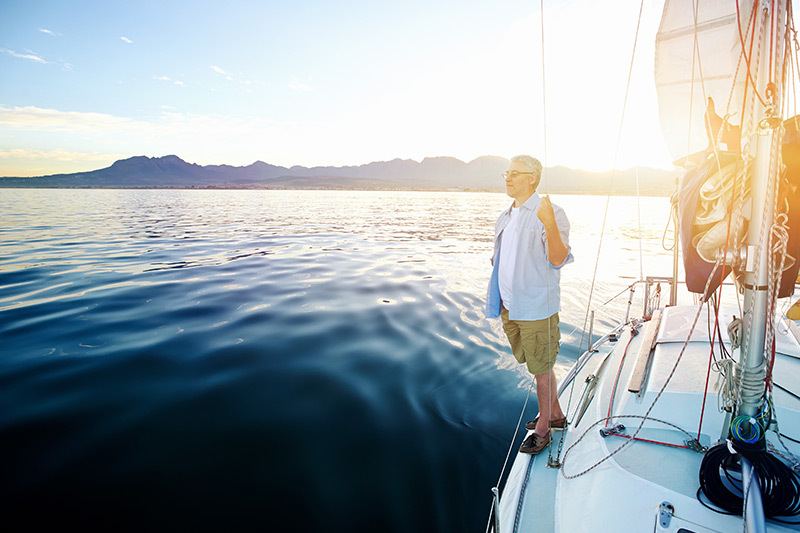 Retirees can find quality of life on a fixed income by relocating outside the United States. Prices in the U.S. seem to be going up faster than your monthly check can cover them. Groceries, gas and insurance all take a big chunk out of your budget. You’ve watched the taxes on your home soar in the last few years. There are places overseas where your social security check will cover restaurant meals as well as rent. Places where you can dig your toes into powder-white sand, or view mountains from a colonial-era town. Places where you get dirt-cheap health care and a gorgeous climate all year. Places where your costs are as low as $1,000 a month. If you can’t bear the thought of being so far from loved ones, factor in a couple of trips home every year. In this global age, you’re never far from an airport. Or decide to take it six months at a time, renting a place to live and re-evaluating as you go. You can even rent out your house while you’re gone for some extra income, and assurance that you can return to your old life. We’ve found five communities where retirees can live especially well and cheaply. Four of them are in the Americas, and one is Asia’s best bet for retirees. All offer outstanding bang for your buck. Each one is paired with the approximate cost for two people. Yes, there will be money left over for those trips home! How Safe is Living Abroad? Another safety concern is especially pertinent to Americans who have just watched multiple hurricanes slam the country. Inland is always safer from hurricanes, but if you prefer to live on the coast, you might try Panama, which has had only a single hurricane, in 1969. Ecuador doesn’t get hurricanes, but El Nino causes intense weather patterns that generate rain and floods on the coast. Only two hurricanes have made landfall in Nicaragua, and the Yucatan in Mexico does occasionally get hit, though less often than the same coast to the north. Finally, Malaysia officially has typhoons instead of hurricanes. Penang is vulnerable to flash flooding, wind and storms. It has also been hit with a tsunami after an earthquake in the ocean. What About Medicare if I Retire Abroad? Local health care varies, but many expats find it more than adequate for most of their needs. Larger cities often provide outstanding care for a full range of issues. But if you’re more comfortable getting treated in the States, make sure you understand how to manage your Medicare benefits. You should enroll in Medicare when you are eligible, whether you are living in the U.S. or abroad. If you qualify to collect Social Security benefits, or if you are a U.S. citizen or legal permanent resident who has lived in the United States continuously for five years, you can get Medicare benefits. However, Medicare typically doesn’t cover medical care you receive outside of the U.S. Most people don’t pay any premium for Part A coverage for inpatient hospital services. Usually, you should keep Part A, even if you’ll be living abroad, since it’s free. Part B coverage for physician visits and outpatient care requires you to pay a premium. You’ll likely need to pay the premium if you plan to move back to the U.S. or come back frequently or for extended visits. If you continue to pay Part B premiums, Medicare will cover you any time you step on U.S. soil. If you decide to quit paying for Part B, it’s at your peril. If you return to the U.S., you may have to wait until the General Enrollment Period (January 1 through March 31) to enroll, and even then, coverage won’t kick in until July 1. You could also confront lifelong premium penalties that will increase the cost of Part B as long as you live. Some sites tell you to stop paying for optional Medicare Advantage and Part D (prescription drug coverage) when you move overseas. To qualify for either, you technically must live in that plan’s service area. But there is a workaround if you plan your visits to the States in advance. You can qualify for a special enrollment period (SEP) for Part D each time you move into a plan’s service area. About a month before your return, call your Part D plan and say you are moving back to the U.S. and you need to use your SEP to re-enroll in the plan because you are moving back to its service area. You may be able to obtain a zero-dollar Medicare Advantage plan that won’t charge you a monthly premium. Be aware that it may require a higher deductible, more expensive copays, and less prescription drug coverage when you need to actually use it. Every situation is slightly different. Be prepared to enroll in Medicare as soon as you are eligible, even if you live abroad. Have a plan for medical coverage if you plan to return to the United States. Check out your options if you plan to settle in a foreign country permanently. Finally, check with Medicare regarding your particular situation. You can contact Social Security or the United States Consulate or Embassy in your country of residence before you make any final decisions. Rolling green hills snuggle next to cool mountains in this small community of just over 3,000 people located two hundred miles west of Panama City. You can sit on your veranda and sip coffee that was grown locally, watching for monkeys and toucans in the trees above you. Local industries harken back centuries to a slower pace of life. Master craftsmen make Mejoranas, Spanish guitars that you can buy for under $100 to strum as evening falls. Or visit local gardens to view more than 300 orchid varieties. The exotic flowers merit their own festival each August. Santa Fe National Park features 270 square miles of hiking trails in pristine rainforest that you can explore with a guide or on horseback. Rent an inner tube for $5 and float down the Rio Bulaba. Or meander along the many streams and rivers punctuated by waterfalls and birds chattering in the canopy above. Home rental starts at $400 a month. A mere $6 will get you a bag of fruit and vegetables, plus a pair of chicken breasts for dinner. The local internet café charges 60 cents per hour, and your monthly water bill rarely climbs above $3. Cleaning people or local builders run about $15 per day. You won’t find a big expatriate community in Santa Fe, but you will find friendly locals. Bill and Mitzi Martain have been residents for years. Plus, a pensionado visa will grant you discounts on meals (15%-25%), hotels (30%-50%), medical check-ups (20%), and prescriptions (15%-20%) … as well as many other benefits. Nicaragua has arguably the lowest cost of living in Central America. 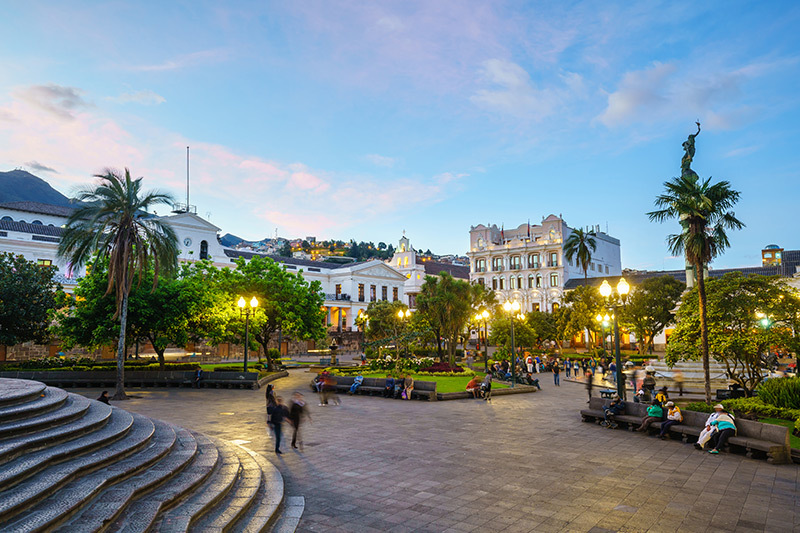 There are many gorgeous locales where a retiree could afford to settle down, including the historic colonial city of Granada and the seaside village of San Juan del Sur. No matter where you go in Nicaragua, you’re bound to be healthier. The government bans genetically modified food (GMOs), nor does it allow animals, fruits or vegetables injected with hormones, antibiotics or “plumping” chemicals. Communities are built for walking, with town squares and local proprietors. Traffic is scarce, although you may have to wait when the local herd of cows crosses the road. The historical colonial town of Granada has a population of just over 150,000 and sits on Lake Colcibolca, the 19th-largest lake in the world. Anchored by the famous yellow church in the city center, the town has a quaint vibe backed by views of the nearby Mombacho Volcano. Tourists flock to the stalls featuring local Nicaraguan handicrafts, clothing, and jewelry; horses pull buggies down the streets; and children play in the central park. Take a boat ride around the lake’s tiny islands, stopping off at one for lunch. Try the zip-line at the volcano, or go for a swim in the warm volcanic waters of Laguna de Apoyo, 20 minutes outside of town. Art galleries and concerts are easy to find. In the evening, choose among dozens of outdoor restaurants where you can enjoy two-for-one $2.50 mojitos, eat barbecued ribs and watch break-dancers, or listen to wandering mariachis. The large expat community makes it easy to find food from back home, and connect with new friends who speak English. Donna Tabor, a single retiree who has lived in Granada since 1996, loves Granada’s amenities and its low cost. She owns her home not far from the lake, and says her monthly expenses rarely top $1,000, including gas and maintenance for her old truck. If you prefer to fall asleep to the sound of waves licking the shore, check out San Juan del Sur, cradled in a perfect crescent bay with golden sands near the border of Costa Rica. The culture and the sense of community here, says Renda Hewitt, who retired to San Juan del Sur with her husband, Ralph, in 2003, reminds her of what it was like growing up in rural Texas back in the 1940s. Children are taught to be respectful and well mannered, she says, and they don’t have to worry about their safety, because everyone in town is looking out for one another. Her husband values the temperate climate. Temperatures stay within a narrow range near 90 degrees year round, cooled by an easterly breeze. The couple put their monthly expenses at about $1,000, including visits to restaurants, weekly shopping trips to the nearby town of Rivas, monthly shopping trips to Managua with hotel stays and dinners out, groceries and gas. Sitting on the Gulf of Mexico, this World Heritage city is quickly becoming a mecca for American retirees in search of an affordable beach destination. 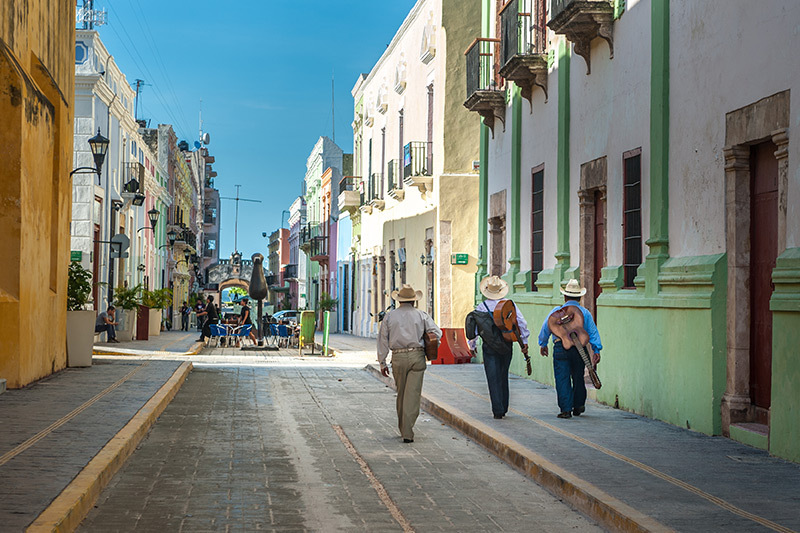 One of the safest cities in Mexico, Campeche features Spanish-colonial architecture with candy-colored facades. A population of 300,000 ensures plenty of amenities, while the eight-block city center is walkable for nearly anyone. The three-mile boardwalk beside the ocean is augmented with running and cycling paths, small parks and workout equipment. In fact, if you live in one of three historic neighborhoods nearby, you can get by without a car. The highway from Campeche to Merida has been widened to four lanes, reducing the driving time to an hour and a half. Campeche itself has a range of big box stores familiar to Americans. Sam’s Club and Walmart compete with a more traditional market just outside the historic center. Traffic within the center is limited, replaced by promenades decorated with sculptures and outdoor cafes. Daily expenses are low. A week’s worth of fruits and vegetables at the market goes for as little as $8. Pop in for a sandwich or taco from a small lunch stand for $2 to $3. Or go all-out with a seafood plate at a sit-down restaurant for $12 or $15. A small house will set you back $400 a month, while a more modern home with two or three bedrooms runs $500 and up, unfurnished. The same sort of home will sell for $150,000 or more. “The weather is good, the people are friendly, and there are fresher fruits and vegetables year-round here than you get back home,” says expat Daniel Record, of life in Campeche. Clean air and constant sunshine are abundant in this lush valley in the southern Andes of Ecuador, and so is fresh, organic food. Vilcabamba reportedly has one of the four healthiest populations on earth. Many residents live to be 100 years old or more. The stress-free living, ideal climate and clean water contribute to longevity. Near the equator at 5,000 feet above sea level, temperatures average between 65 and 81 degrees all year long. While it is not a simple task to get to Vilcabamba, about 150 foreigners live there full time, and another 100 or so make it their residence for part of the year. Renting a furnished two-bedroom home in Vilcabamba runs about $375, with another $155 for utilities. Weekly maid service is $15, and groceries for a month will set you back $400 for two. In addition, expect to spend about $140 for your car, $75 for personal items and $200 to dine out six times, and your monthly bill is still under $1,500. National health care is only an additional $80 for both of you. Patrick Robinson moved to Vilcabamba after 30 years of living on Maui, Hawaii. He did it alone, at age 80, without speaking a word of Spanish. After traveling for four years in search of his own retirement paradise, he settled on Vilcabamba as an entrepreneurial haven, with low taxes and cost of living, and a “healthy environment that would nurture mind, body, and soul,” Robinson says. 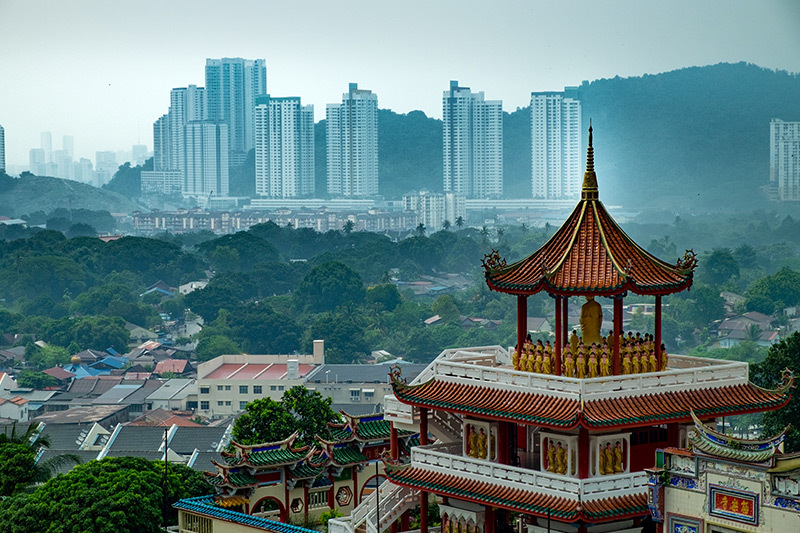 A lively, modern restaurant scene blends with old-town charm in George Town, the capitol of Penang, Malaysia. A Unesco-listed city founded in 1786, buildings mostly date from the 1800’s and provide the main attraction for visitors. When tourists tire of the busy city, they can relax on deserted white-sand beaches and lush jungle trails, all for an affordable price. Art and music events abound. Street culture is anchored in local religious festivals, and a new performing arts center anchors the Straits Quay Marina. An entire month is devoted to performances at the George Town Festival, while music is on stage at the Penang World Music Festival. Take home a bag of fresh fruits such as mangoes, bananas, apples, pineapples and oranges for $6. For $900 a month, you can live in a spacious, four-bedroom apartment with a swimming pool and gym facilities. Go ahead and add a weekly maid for $14 a visit. Internet is $30 monthly, and a premium cable TV package will bring you HBO, CNN, BBC and numerous sports and movie channels for another $40. Dinning out is particularly inexpensive. Residents swear you can pick any cuisine and eat out every night, all without going over a $2,000 monthly limit. Six world-class hospitals sit within George Town, where all the medical staff speak perfect English. Need to see a specialist? No appointment is needed, and it may cost as little as $12. “The Cheapest Places to Retire: Five Towns Where You Can Live Better For Less,” International Living. “Global Peace Index,” Vision of Humanity. “Santa Fe, Panama,” International Living. “Why I Moved to Vilcabamba, Ecuador,” International Living. “Medicare coverage when living abroad,” Medicare Interactive Pro. “Can expats take their Medicare abroad?,” PBS Newshour. Senior women find a sense of community and competition as members of the Colorado Peaches, a team that is only open to those 70 years of age or older. You cannot join the Colorado Peaches unless you’re a woman at least 70 years old. They are a Denver-based softball team competing in the Huntsman World Senior Games October 9-21 in St. George, Utah. Elder statesman and second baseman Maggie McCloskey is 86. She says age disappears when you’re belting a pitch into the gap in left-center. “You're never too old to play; and that play element is so, so important," she said. "Being on a team...I could just go on and on...it's just awesome." The team’s purpose is “to inspire those who have the courage and audacity to follow continue to grow and improve with age.” The Peaches spread joy, fun and love through team play, physical exercise, camaraderie and competition. The team’s motto: Life begins when you get in the game. The Peaches don’t care if you’ve never played ball. They don’t care if you can’t run… you can hit and throw, and someone will run for you. You can watch the Peaches compete at the Huntsman World Senior Games, an athletic competition exclusively for those 50 years old and up. Since 1987, the Huntsman games has promoted fitness as a way of life for those nearing or in retirement. From shuffleboard to shooting, there is a sport for everyone. It doesn’t matter if you make it to the medal podium. The event emphasizes everyone for their achievements, and includes a roster of social events including band concerts and dances to bring athletes together. The Games also promote health with screenings for breast and prostate cancer, glaucoma, diabetes, high blood pressure, elevated cholesterol and bone density. Sponsors provide diagnostic equipment and services. The medical and nursing students assisting with screenings donate their time. If you’re intrigued, you can throw in a visit to a nearby national park such as Bryce or Zion. You might even want to participate in the Games as a volunteer. Thousands of them help the Games run smoothly every year. Don’t forget to say hello to the Peaches while you’re there. 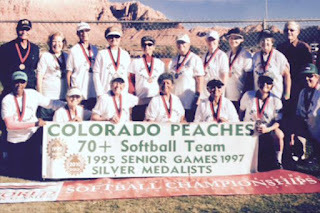 “The Women Of The Colorado Peaches Softball Team Think They've Found A Fountain Of Youth,” Colorado Public Radio. “Huntsman World Senior Games,” Huntsman World Senior Games. “Field Of Our Own Denver Area Senior Women Softball,” Colorado Peaches. The former spy with the Mona Lisa smile has held a vice grip on power in Russia for the last 18 years. He emerged as Prime Minister in 1999, then became President of Russia from 2000 to 2008. 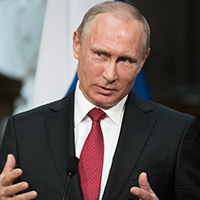 Putin again served as Prime Minister from 2008 to 2012, and then President once starting in 2012 to the present. How does he maintain his power? Legally (and Putin first trained as an attorney), no one in Russia can serve as president three times in a row. But you can be president as many times as you want, as long as it’s not more than twice in a row, per the Constitution of Russia. In a more practical sense, Putin has created a network of oligarchs allied to him, and insures that the wealth of the state is funneled their way. Interestingly, many of Putin’s foes seem to wind up dead. Whether poisoned, shot in the back, beaten to death in police custody or found with a noose around their neck, a number of journalists, attorneys, former friends and activists critical of Putin will never make it to age 65. Putin’s government consistently denies knowledge of the incidents. After his work in East Germany with the KGB, Lenin returned to his old stomping grounds and birthplace, Leningrad. In June of 1990 he was employed in the International Affairs section of Leningrad State University, and a year later he was appointed head of the international committee of the Saint Petersburg mayor’s office, where his job was to promote international relations and foreign investments, still under the umbrella of the spy agency. Putin came to Moscow in 1996, where he served in a variety of positions in the government of Boris Yeltsin. He headed the FSB (a modern version of the KGB) from 1998 to 1999, and then became Secretary of the Security Council before serving as Prime Minister. Most recently, Putin has been connected with the Russian bombing of Syrian hospitals. Another notable feature are state photos of the bare-chested commander on vacation. He’s a member of the Russian Orthodox Church, and has two daughters from a previous marriage. You couldn’t watch gymnastics in the late 60’s and early 70’s without seeing Ludmilla Tourischeva, the pride of the Soviet Union. She won the gold medal at the 1968 Summer Olympics just after turning 16. Two years later, she became the leader of the Soviet team and dominated almost every major international competition from 1970 to 1974. Tourischeva won the World Championships all-around in 1970 and 1974, and the European Championships in 1971 and 1973. She also brought home the all-around gold medal at the 1972 Summer Olympics in Munich, but at age 20 she couldn’t compete with her up-and-coming teammate, Olga Korbut, for popularity. Already old for a gymnast at nearly 23, Tourischeva placed third in the 1975 European Championships but rebounded to sweep the World Cup later that year. Struggling to recover from a back injury, Tourischeva competed in her third and final Olympics in 1976 in Montreal. The veteran led the Soviets to a team gold, winning silver medals on vault and floor exercise in the event finals. This was proven when a broken hook holding the support cables for the uneven bars caused them to fall apart and hit the ground just as the gymnast landed her dismount at the 1975 World Cup finals. Saluting the judges, Tourischeva didn’t even turn around as she exited the podium. She went on to win the all-around and all four event finals. Many years later, she said the only thing she was thinking at the time was she had to stick her landing. “Ludmilla would fight to the death in any situation,” said her coach, Rastorotsky. The gymnast displayed a large measure of grace as well as grit. 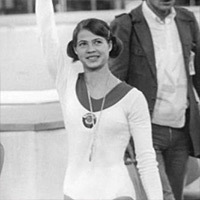 At the 1976 Olympics, Tourischeva walked around the winners’ podium to congratulate Romanian rival Nadia Comaneci before accepting her own medal. In 1977, Tourischeva married Olympic sprinter Valeriy Borzov. She became a coach and international gymnastics judge, as well as an official of the Ukrainian gymnastics federation. In 1998, she was inducted into the International Gymnastics Hall of Fame. 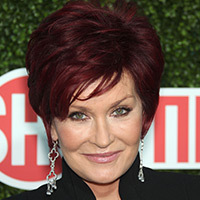 With homes in London and Malibu, Sharon Osbourne is doing well. The former Sharon Rachel Levy has made a name for herself as an English television host, media personality, television talent competition judge, author, music manager, modern impresario, businesswoman and promoter. Oh, and she’s also the wife of heavy metal (and heavily tattooed) singer-songwriter Ozzy Osbourne. Fans shot her into prominence after seeing her in The Osbournes. Among the first reality shows that featured a famous family, it often captured one of their dogs peeing and pooping on rugs, carpets, or pretty much anywhere in their house. The honesty of the show won Osbourne fans, and she parlayed her fame into stints judging television talent shows such as America’s Got Talent, where she doled out opinions from 2007 to 2012. Osbourne is credited with reviving her husband’s career by founding the summer Ozzfest tour. She’s also a co-host of the daytime series The Talk, and she does the occasional spot on the British Loose Women, where she discusses relevant issues ranging from politics to current affairs, and even celebrity gossip. All that work has made her a rich woman. Her net worth is estimated at $220 million. Osbourne’s fabulous good looks aren’t due to daily facials and a weekly massage. She’s been open about the numerous plastic surgeries in her past because she has said she didn’t want other women to have unrealistic ideas about their own appearance. But she’s vowed not to have any more procedures. “There’s only so much the human body can take!” she says. 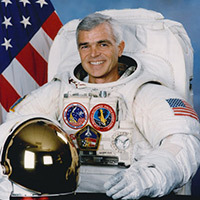 “Rich” Clifford is a retired United States Army officer and NASA astronaut with more than 3,400 flying hours under his belt. Clifford graduated from West Point in 1974 and served a tour of duty in Fort Carson, Colorado. He graduated at the top of his class at the U.S. Army Aviation School two years later. In 1982, he completed a Master of Science degree from Georgia Tech and returned to West Point as an instructor. In 1986, Clifford graduated from the U.S. Naval Test Pilot School and earned his experimental test pilot designation. He retired from the U.S. Army in 1995 with the rank of lieutenant colonel. In 1994, Clifford was diagnosed with Parkinson’s disease, but only his commander knew about it. The diagnosis was the reason that Clifford quit the space program two years later, uncertain how fast his case would progress. His struggle with the disease was detailed in a documentary, An Astronaut’s Secret. Clifford began work at the Johnson Space Center in 1987 as a space shuttle vehicle integration engineer. His flights as an astronaut included a 1992 launch of the space shuttle Discovery, the 1994 launch of the space shuttle Endeavour, and a mission to Russian space station Mir aboard the space shuttle Atlantis. Clifford performed a spacewalk more than six hours long to mount experiment packages on the Mir docking module. Clifford left NASA in January 1997 to accept the position of Space Station Flight Operations Manager for Boeing's Defense and Space Group. Who hasn’t seen The Big Chill? 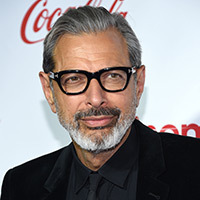 The 1983 social satire and Boomer nostalgia flick is where many children of the 50’s were introduced to Jeff Goldblum, an American actor whose work includes such classics as Invasion of the Body Snatchers, Independence Day, and The Fly. The Tall Guy (1989), Deep Cover (1992), Powder (1995), The Prince of Egypt (1998), Cats & Dogs (2001), Igby Goes Down (2002), The Life Aquatic with Steve Zissou (2004), Adam Resurrected (2008), Le Week-End (2013) and The Grand Budapest Hotel (2014). He has been cast as Grandmaster in the Marvel Cinematic Universe film Thor: Ragnarok. He also starred in several TV series including the eighth and ninth seasons of Law & Order: Criminal Intent as Zack Nichols. Goldblum’s first marriage was to Patricia Gaul, his co-star in Silverado. Their union lasted from 1980 to 1986. In 1987, he tied the knot with actress Geena Davis. In three years together, they headlined Transylvania 6-5000, The Fly and Earth Girls Are Easy. Goldblum spent the next 24 years as a single man. In 2014 he became engaged to Canadian Olympic gymnast Emilie Livingston, 30 years his junior. Their first son, Charlie Ocean, was born on the 4th of July in 2015. A second child, River Joe, came into the world on April 7, 2017. “Here are 10 critics of Vladimir Putin who died violently or in suspicious ways,” The Washington Post. “Bare-chested Putin photos released by Russian state media,” The Washington Post. “East Aleppo’s last hospital destroyed by airstrikes,” The Guardian. “Sharon Osbourne reveals the full extent of her plastic surgery past Read more: http://www.dailymail.co.uk/tvshowbiz/article-2439966/Sharon-Osbourne-reveals-extent-plastic-surgery-past.,” Daily Mail.